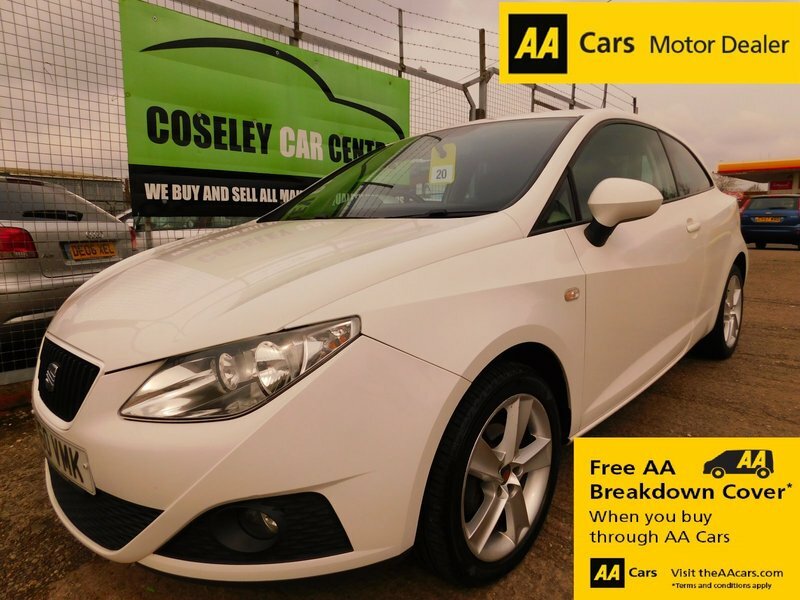 HERE WE HAVE A LOVELY LOOKING SEAT IBIZA SPORT COUPE COMING IN 'SPORT' SPEC WITH THE DESIRABLE 'CANDY WHITE' PAINTWORK. THE SERVICE HISTORY SHOWS 3 SEAT MAIN DEALER SERVICES AT 11K, 20K, 30K AND 2 INDEPENDENT GARAGE STAMPS AT 58 AND 66K. IT COMES FULLY LOADED WITH AIR CONDITIONING, BLUETOOTH, CRUISE CONTROL, ELECTRIC MIRRORS, 17" ALLOYS, CD PLAYER, REMOTE CENTRAL LOCKING, ELECTRIC WINDOWS etc etc. THERE ARE 2 KEYS, A FULL BOOKPACK, 3 MONTHS UPGRADEABLE WARRANTY AND 12 MONTHS FREE AA COVER.